Brenda Blogs About . . .: Brenda Blogs About . . .
"Brenda's Baby Bump Blog" was conceived (haha, get it?) when I was pregnant with G. Some people had suggested changing it now that I'm not pregnant anymore, and have lost all semblance of a "bump." For a while, I was perfectly happy leaving the name as is, since I will always consider G my little "bump." But I found that the name was rather cumbersome. 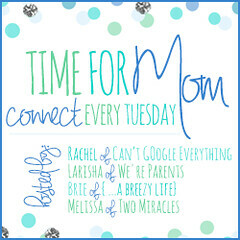 It also felt like perhaps the name was constraining me to be just a "mommy blog." While this is predominantly a mommy blog, I may want to write a post here or there about dance or theatre or current copyright issues or whatever comes to mind. I feel that "Brenda Blogs About . . ." will enable me to have more freedom in my blogging topics and it feels more "me" right now. Oh good! Yay! Can't wait to see your new name, too! It transferred in bloglovin. Did your twitter and Instagram automatically transfer over too?